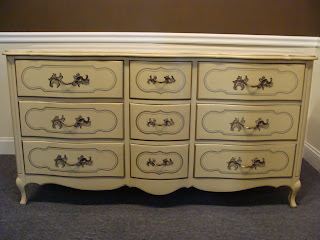 A few days ago I learned of Chalk Paint on Miss Mustard Seed's Blog. I am so excited about learning more and buying my own to try on a few pieces. I have the perfect childhood desk from my very first bedroom suite to try it on. I just wish I had the whole set to work with....I do still have a tall skinny dresser but not sure how that would fit anywhere. Sorry for no actual picture, the piece is in storage now. It is a small desk that would be perfect in a little girls room. 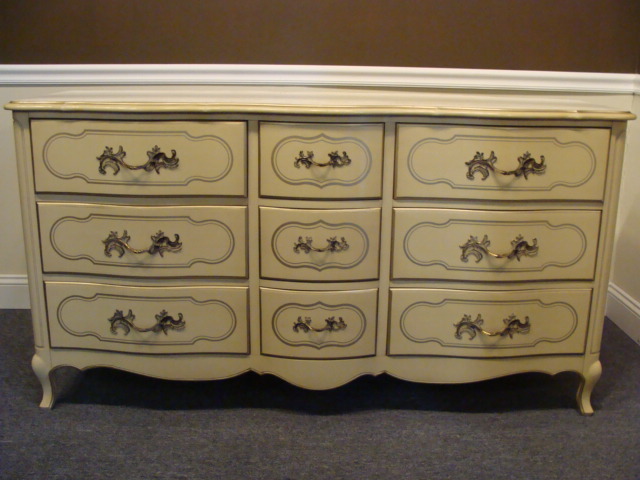 I ventured over to Annie Sloan's Chalk Paint to view colors and I am thinking Duck Egg Blue or Emile for the base color and Cream for covering the gold highlights of this piece. The greatest part of this paint is it sticks without have to do much sanding....boy does that make life easy! And it makes me that much more eager to start. I plan to spend some more time reading up on the paint and purchasing a color this weekend. I can't believe you are even asking that question, you already know the answer. PURPLE! !